What is a Hybrid Heat Pump? The term hybrid means, "something made by combing two different elements." This is as true for heat pumps as it is for automobiles. A hybrid heat pump combines the benefits and energy efficiency of a water source heat pump with the simplicity of a hydronic fan coil unit in order to reduce energy use and cost. In the cooling cycle, a traditional water source heat pump removes the heat from the air in the room and rejects that energy into a water loop. The heat added to the water is removed via a cooling tower or into the ground in geothermal systems. In the heating cycle, a traditional heat pump reverses the cycle and removes heat from the water loop and rejects that heat into the space. 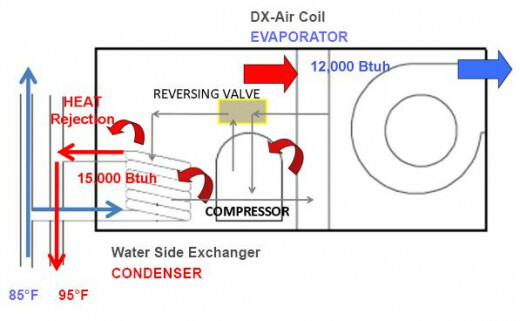 In both heating and cooling cycles, the compressor needs to run to drive the refrigeration cycle and transfer heat back and forth between the space and the water loop. 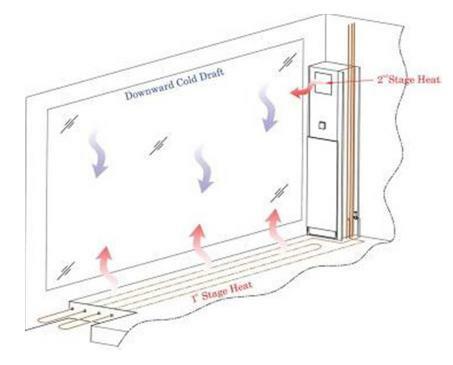 In the heating cycle, supplementary heat needs to be added to the water loop to satisfy the building heating demand. In the cooling cycle, the hybrid design works the same as the traditional design. Heat from the space is removed through the refrigeration cycle and rejected in the water loop. That is where the similarities end. In the hybrid design, the reversing valve is replaced with a 3-way diverting valve. This diverts the water from the heat exchanger in the condenser to a hydronic heating coil. The unit now acts as a fan coil for heating. The compressor does not run during the entire heating cycle. The single largest advantage to the hybrid design is energy savings. Allowing the compressor to remain off for the entire heating season reduces electrical consumption for each heat pump on the project. Multiply that by several hundred units that may be in a single building and the savings are significant. There are other advantages as well. By reducing the compressor run time, reliability is increased and the life of the compressor is extended. Additionally, a hybrid heat pump opens the door to a wide range of system design opportunities. 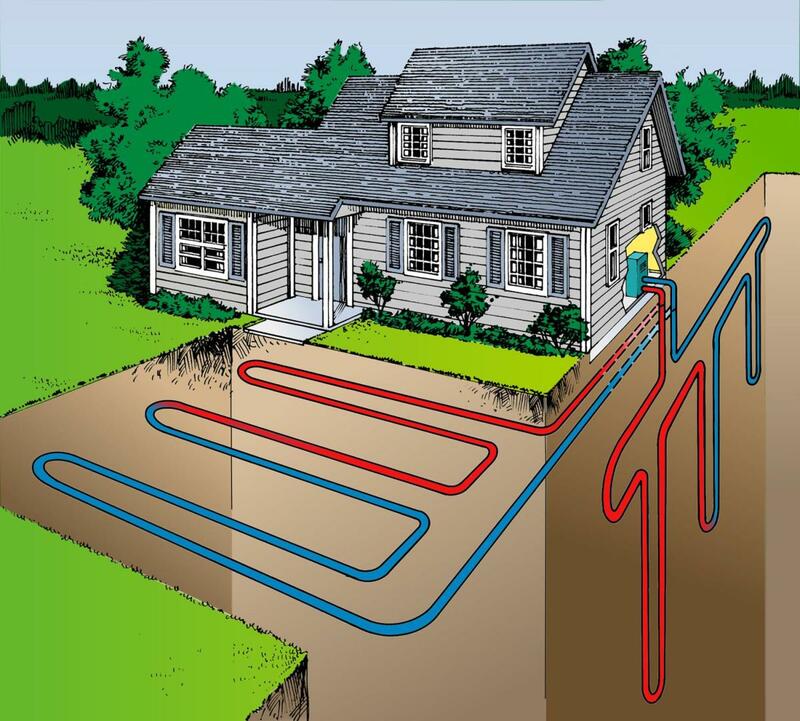 The heat pump can be combined with radiant floor heating systems, hot water baseboard systems, geothermal water to water heat pumps and solar water heating systems. During certain times of the year, typically spring and fall, certain areas of a building need cooling while other areas need heating. The heat of rejection from the units in cooling account for 100% of the heating needs for all the units serving areas that need heat. In effect, the building becomes balanced and no additional heat is required from the boilers (or geothermal wells) and no heat rejection is needed at the cooling tower (or geothermal wells). Electricity costs between 2 to 4 times more per BTU than natural gas or heating oil. For every 100 BTUH of heat delivered by a traditional water source heat pump, 75 BTUH of that comes from the water loop. Only 25 BTUH is generated by running the compressor. Hybrid heat pumps deliver 100% of the heat from the water loop, reducing electrical energy use by keeping the compressor off. For the first exercise, we have an imaginary building with 100 heat pumps, all nominal 1 ton capacity operating for 1 hour. The energy use is modeled for all units running in cooling mode, all units running in heating mode and different combinations of units running in heating or cooling mode. Refer to the table below. With all units operating in cooling mode, all the compressors are operating. In this example, the hybrid units are more efficient than the traditional but it could be reversed. 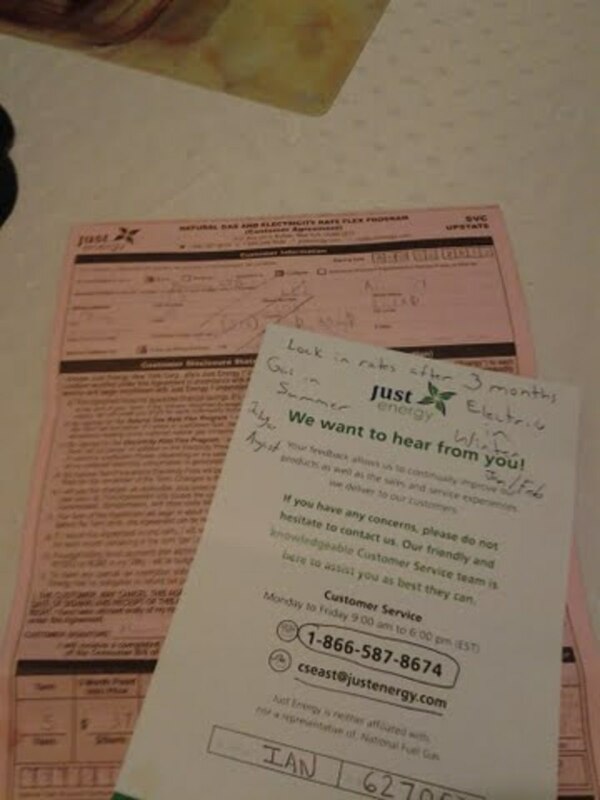 The real savings start as units begin to go into heating mode. Both the traditional and the hybrid units are delivering heat but the hybrid unit does so without the use of the compressor. 100% of the heat is extracted from the water loop directly. When all the units operate in heating mode, the electrical use for the hybrid design is limited to fan energy only, which can be further reduced with the use of EC motors (ECM). The traditional system doesn't vary much at all in their electrical energy consumption even through 75% of the heat being delivered is extracted from the water loop anyway. 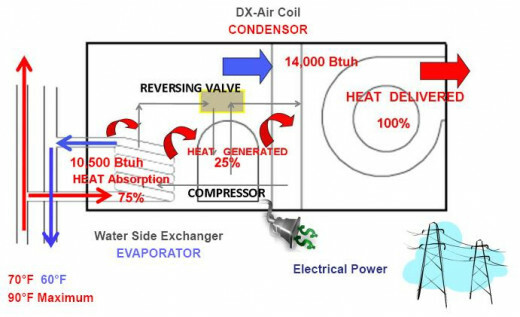 Traditional water source heat pumps operate at their peak efficiency in cooling mode when the condenser water loop is cooler, about 70 degrees F (approx. 0.72 kW/ton). When the cycle reverses to heating and the 70 degree water is used as a heat source, the efficiency drops significantly (approx. 0.97 kW/ton). On the hybrid system, the winter heating period is the worst condition for a unit to operate in cooling (an interior zone as an example). 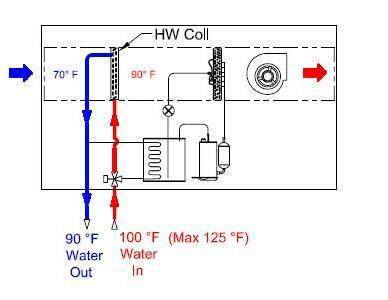 Since the hybrid system needs warmer condenser water to deliver the necessary heat to most spaces, the water loops temperature is about 110 degrees as opposed to 70 in a hybrid system. The cooling efficiency of the heat pump at this temperature is about 1.15 kW/ton. 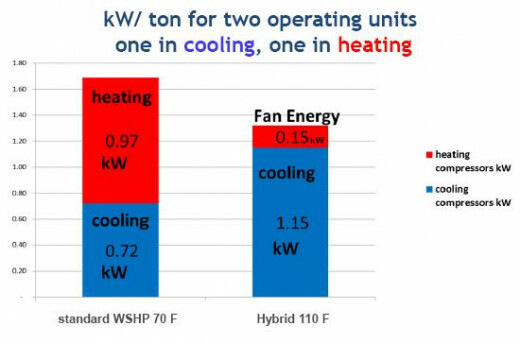 The table below shows a comparison between two traditional water source heat pumps (1 in cooling, 1 in heating) with two hybrid systems (also 1 in cooling and 1 in heating). 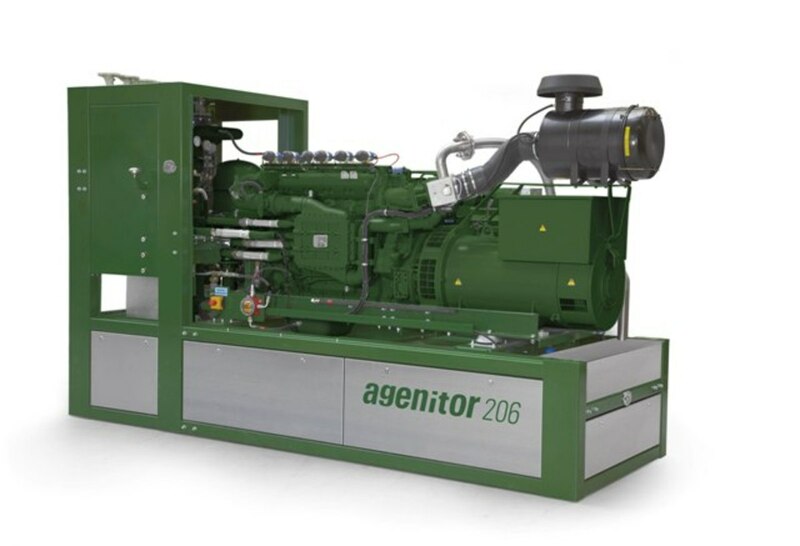 Even at the worst possible condition for the hybrid system, the overall energy consumption is still less because the hybrid compressor does not operate in heating mode. The discussion up to this point is accurate for all manufacturers of hybrid heat pumps. The efficiencies may be slightly higher or lower but the overall benefits and design is the same. Now I want to look at a specific manufacturer, the CGC Group and their Bull Dog line of hybrid heat pumps. These units are manufactured just outside Toronto, Ontario in a state of the art facility. The hybrid design is the most energy efficiency available. Not only is the unit itself more energy efficient but it allows for a more energy efficient system. The key to this is their high efficiency heat exchanger in the condenser section. It enables the heat pump to operate at 2 GPM/ton instead of 3 GPM/ton that most other units require. The entire system uses 1/3 less water which means pumps are smaller, cooling towers are smaller and piping is smaller. The water temperature rise is higher (15 degrees instead of 10 degrees) which helps boiler efficiencies as well. 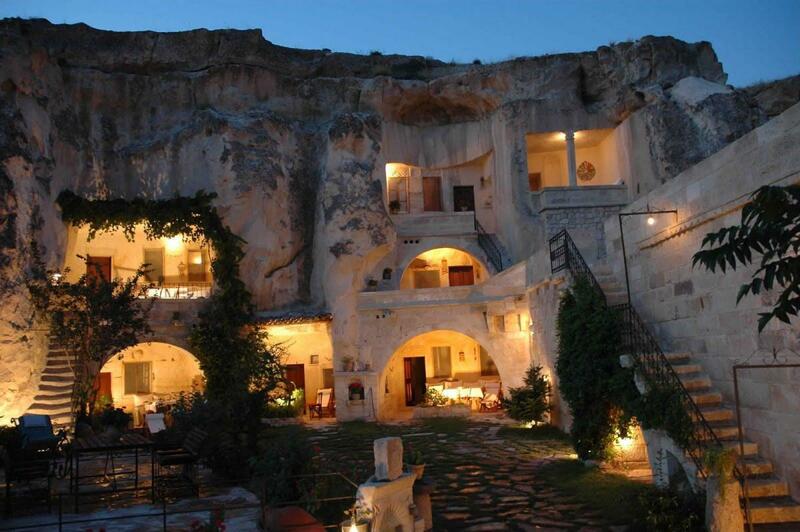 Additional options are available that can even further reduce energy usage. EC motors can be installed on the fans to reduce fan energy consumption and allow variable airflow operation. 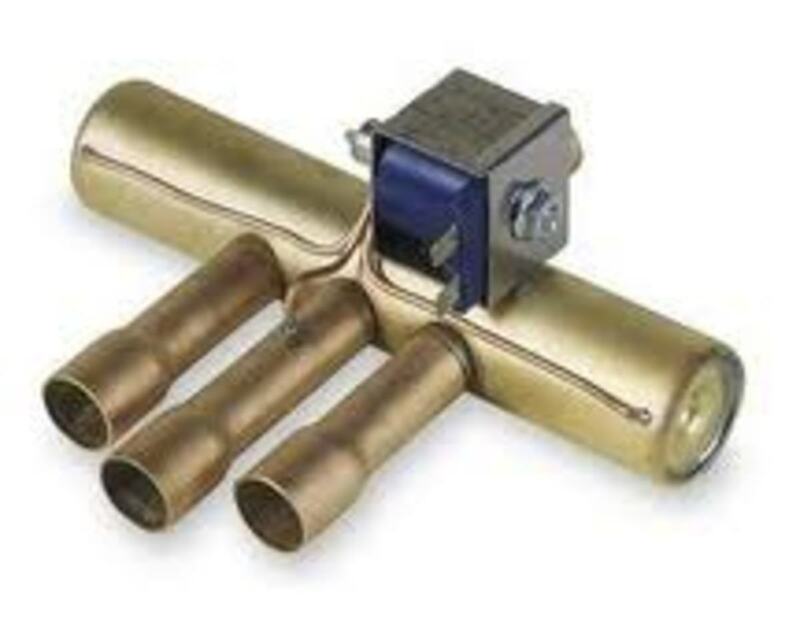 The 3-way diverting valve can be replaced with a pair of 2-way solenoid valves to take advantage of the buildings diversity and allow for variable condenser water flow systems (further reducing pumping energy). In this day and age, we engineers are always struggling to keep design projects on budget and on time. To me, design flexibility and simplicity are huge factors that help with this struggle. 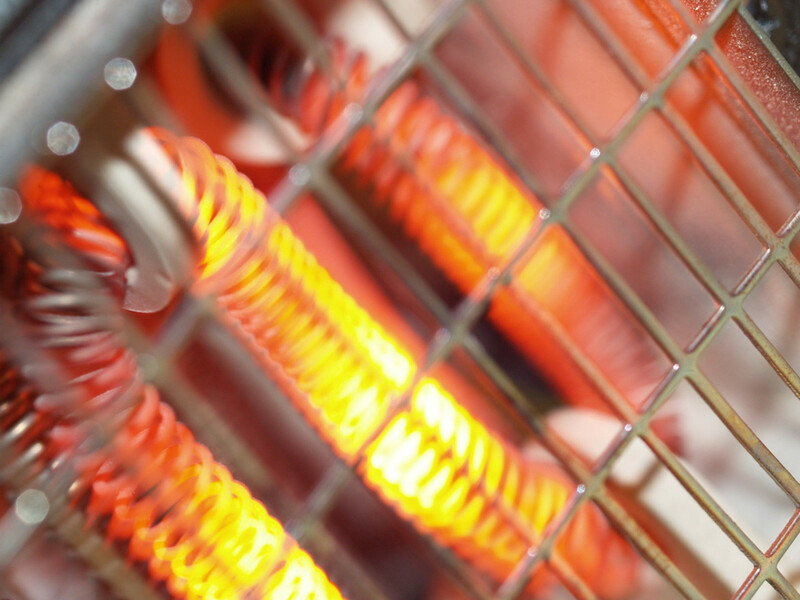 Heat pumps and fan coils have been used for decades in commercial and residential projects. Now we can use both systems at the same time and keep our clients on the cutting edge of technology. For those of you on an energy crusade, take a look at a geothermal hybrid heat pump system with solar water heating and solar power generation and tell me if you can create a more energy efficient building, without sacrificing the ability to individually control each space, maximize occupant comfort and reliability. 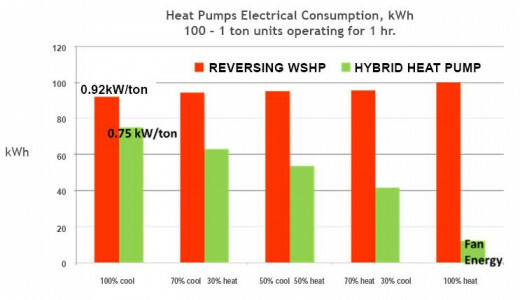 It's obvious that a hybrid design is the best choice in a water source heat pump project, but I can argue that it may be the best choice in nearly all residential and light commercial applications!